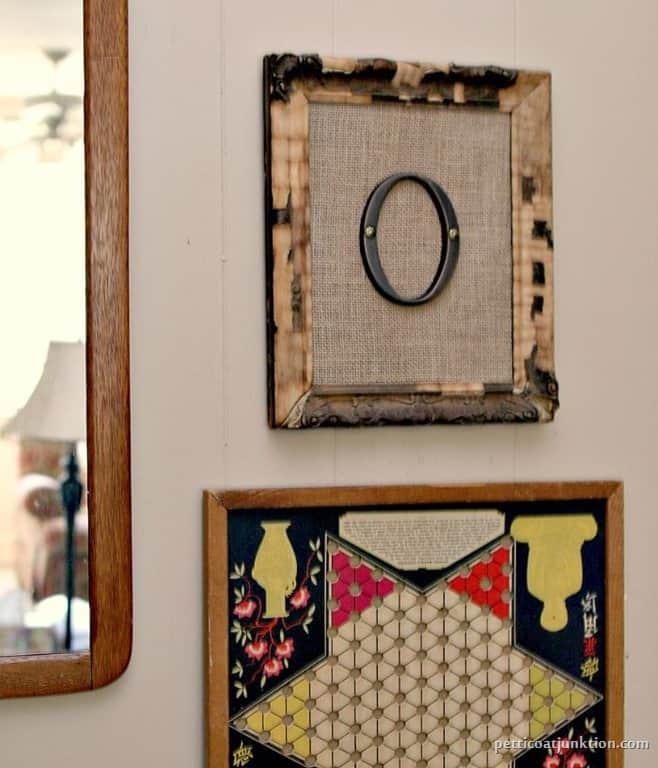 Do you have anything in your home with a monogram? Me neither….until now. I decided it was time to jump on the monogram bandwagon. I first shared this project at Domestically Speaking a week or so ago. Our last name is Owen so that explains the O.
I cut the burlap large enough to wrap around the mat board and stapled it to the back side staying close to the edge all the way around. I used a thick mat board I had on hand for the inside of the frame but a piece of wood, heavy cardboard or glass from the frame would work too. The letter had a screw hole on either side. I used upholstery tacks to adhere it to the board. 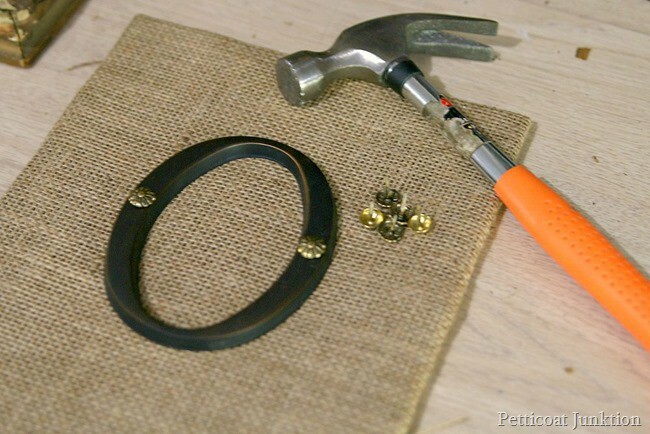 One tip about the burlap covered board or mat. 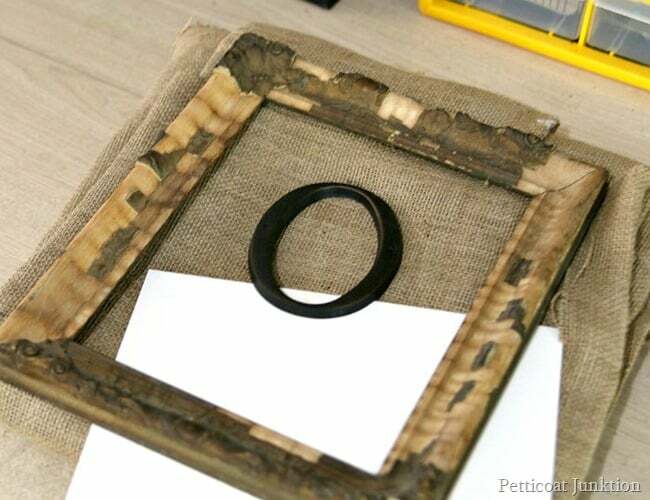 Make sure you can wedge it tightly into the frame then there is no need for a backing or nails to hold it in. Makes the project really easy. I popped the burlap covered mat with the monogram into the back of the frame. I used clear wide Scotch brand shipping tape over the edges of the burlap in the back. You know how that stuff frays! I found the vintage frame for $2 at a local flea market. Yep, I know it’s falling apart. That’s what I like about it…..adds character. 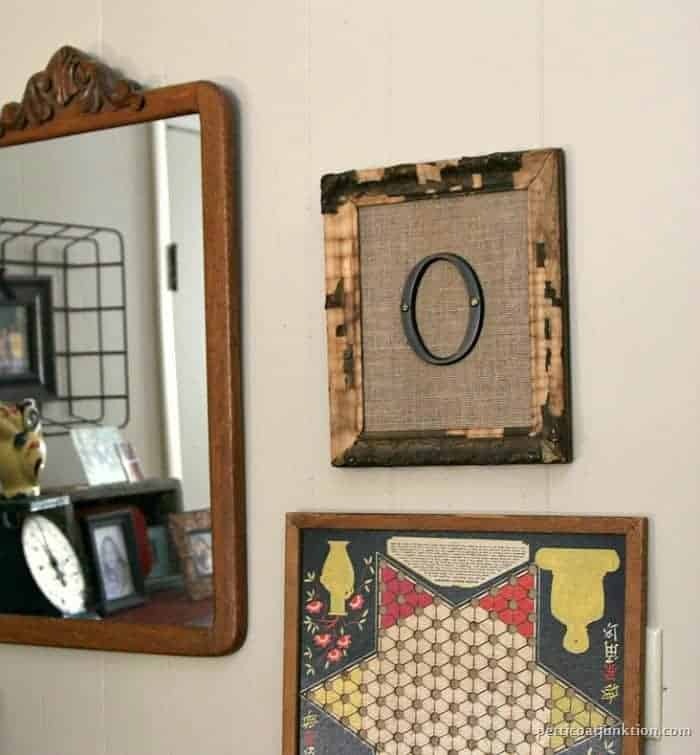 I think the frame works perfectly with the burlap.